We’re looking for a Senior Infrastructure Engineer to help us lead the container revolution. 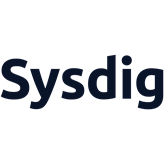 Sysdig is the cloud-native intelligence company, and we’re at the forefront of container and microservices adoption in the enterprise. We’re the people making reliable, secure containers a reality for enterprises everywhere. We’re passionate about solving the most complex operational challenges that companies face when they transition to Kubernetes, Docker, and cloud-native architectures at a massive scale. We’ve raised over $100M and are putting that to work in the world’s largest banks, governments, tech companies and… well, just about everywhere. Have we gotten your attention yet? Sysdig was born from open source, so your work here will cross the divide between developer-led OSS and mission-critical commercial software at scale. We’re proud that our open source tools are widely used and loved by technologists and developers. Falco, our open source container security project is now a part of the Cloud Native Computing Foundation and seeing rapid adoption. We’re big fans of Prometheus too! As a Senior Infrastructure Engineer, you will build solutions to enhance the availability, performance, and resilience of the Sysdig SaaS and On Premise products. You will collaborate with a high-performing Infrastructure team to help drive the scalability of the platform for our customers and the entire engineering organization. Cloud-native is fundamentally changing how organizations build and run applications to fully take advantage of the cloud computing model. Sysdig is the cloud-native intelligence company making it happen. Join us and you’ll be working at the cutting-edge of infrastructure technology and the birth of an entirely new industry. Be the one that solves the hard challenges of operating, monitoring, and securing Kubernetes and Containers at scale - and have fun doing it with a great group of people. Sysdig is the container intelligence company. We have created the only unified platform to deliver monitoring, security, and troubleshooting in a microservices-friendly architecture. Our open source technologies have attracted a community of over a million developers, administrators and other IT professionals looking for deep visibility into systems and containers. Want to get notified about new jobs at Sysdig?